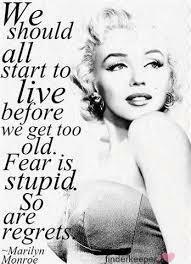 What is your absolute favori quote par Marilyn? In Hollywood, they will pay toi a 1000 dollars for a Kiss and 50cents for your soul. imperfection is beauty genius is madness and its better to be absolutely ridiculous than to be absolutely boring.